In recent years hackers have shifted their primary aim from individual consumers to large retailers and corporate networks because it offers more bang for the buck. It's a good thing too, because most of us individual consumers are sitting ducks. Make no mistake, hackers still launch attacks on individuals. It's one way they harness millions of individual zombie computers to carry out their various nefarious deeds. And Keeper Security, a cyber security firm, says consumers make it easy for them by using pathetically-easy passwords. Keeper Security says the main takeaways from its analysis include the fact that the list of most-used passwords hasn't changed much over the years. In other words, we haven't gotten very creative. Long passwords are best, but four of the top 10 passwords on Keeper Security's list, and seven of the top 15, are six characters or shorter. 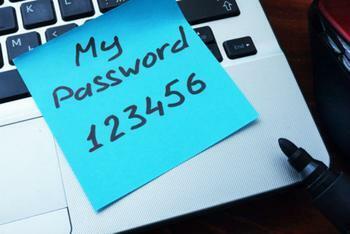 Those passwords are no match for hackers' state-of-the-art tools that can break those flimsy passwords in seconds. The company says email providers should be doing a better job of using their services for spam delivery, and the way to do that is by enforcing tougher password rules. Keeper Security said it had no trouble finding passwords published on the internet. It says there were at least 10 million of them, the result of 2016's data breaches.